Alec Lightwood: You’ve never been in love, have you? Lorenzo Rey: I’m over 300 years old. Of course I have. More times than I care to admit. 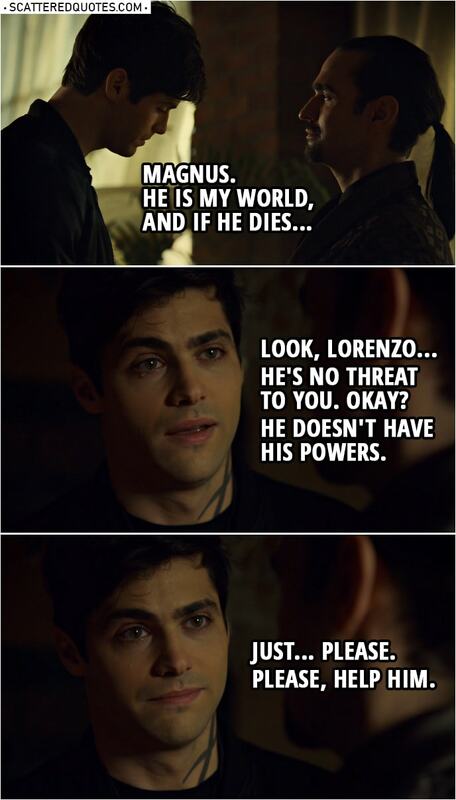 Alec Lightwood: Well for me, it’s only one. Magnus. He is my world, and if he dies… Look, Lorenzo… he’s no threat to you. Okay? He doesn’t have his powers. Just… please. Please, help him.